Tesla has apparently completed another small battery leap, as it is on the verge of rolling out Model S sedans with 75 kWh battery packs rather than 70 kWh battery packs (h/t Steve Hanley and “nkole“). If you don’t follow Tesla closely, it is tremendously focused on bringing down the cost of its lithium-ion batteries (alongside Panasonic) — that’s the most critical thing needed to get the stunning-yet-affordable Model 3 to production. Tesla hired li-ion battery guru Jeff Dahn last year, and it has provided several other signs of its tremendous focus on improving it batteries via chemistry changes, economies of scale, and manufacturing improvements. Back to the news: the 75 kWh battery pack is going to be an option on top of the bas 70 kWh Model S, reportedly $3,000 more than the base 70 kWh pack and launch next week. That said, if the way Tesla has done previous battery upgrades is any indication of what’s to come (of course it is! ), Tesla is likely to phase out the 70 kWh at some point and make the 75 kWh the base option. I emailed my DS [delivery specialist], looks like you are correct. Here is the reply. And the all-important point: the 75 kWh battery pack reportedly increases the Model S electric sedan’s rated range from 240 miles to 259 miles — not too shabby. People got word of the upgrade when it hit CARB’s website, which shows cars eligible for the highly coveted carpool-lane stickers.. While we still don’t have any indication of timing, there has long been rumor (and hacking) that Tesla has a 100 kWh battery pack on the way for the Model S. Increasing the bottom end first and soon jumping to the top-of-the-line offering seems extremely likely at this point. Keep your eyes peeled if you’re just dying for an epic Tesla Model S P100D. In particular, a number of Tesla employees have recently been quoted as saying that Model S pricing would be going up in April (following an announcement to be made at the Model 3 unveiling perhaps?) — which would suggest that changes to what’s on offer are in the works. Knowing, to some degree, Tesla’s challenges hitting timelines, it’s not all that surprising that the changes didn’t quite come through in April, but close. And all for the better, in my opinion. I think keeping the April focus on the Model 3 (for the most part) made a lot of sense. 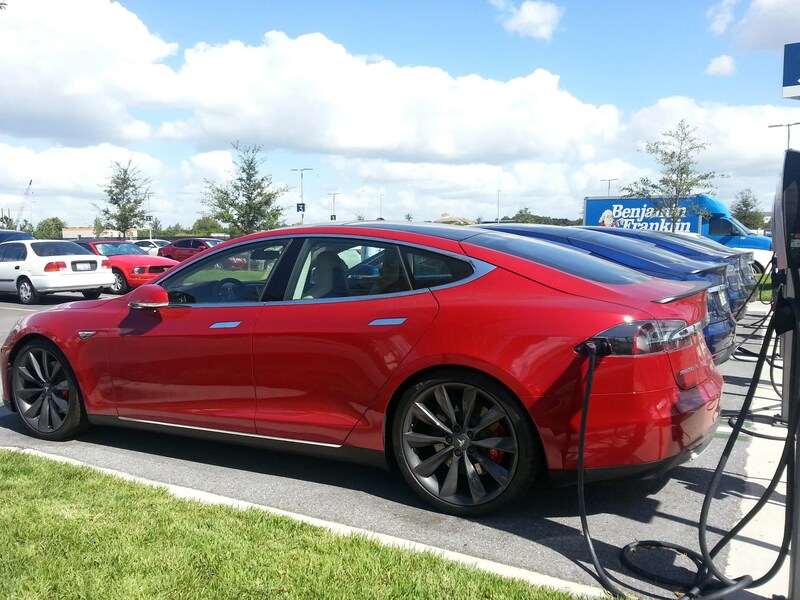 Live Tesla Supercharger Status Updates Coming!